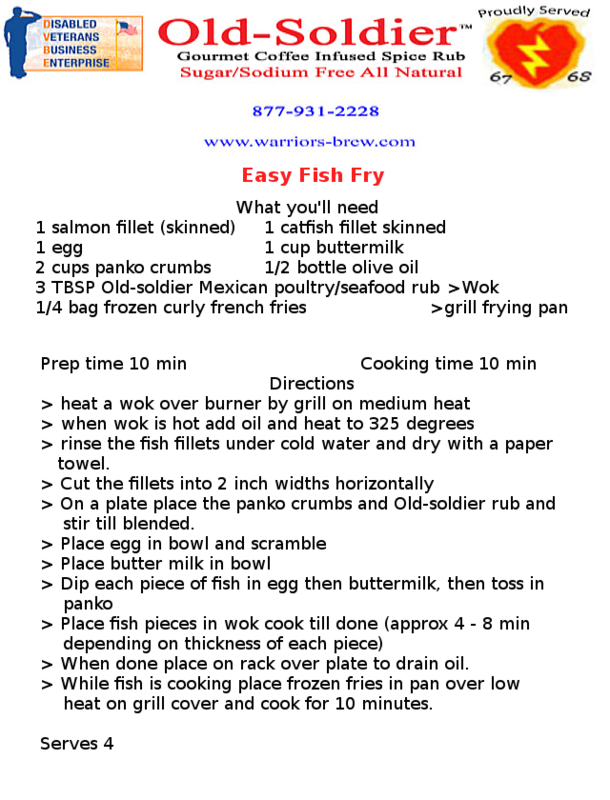 Keeping in mind I am concerned about my health I wanted the fish fry to be as healthy as possible using the Old-soldier Mexican poultry/seafood seasoning since it is salt free, sugar free, and all natural. I also chose panko crumbs since they are low in sodium for the batter for the fish. I chose a salmon fillet and a farm raised cat fish fillet for this meal to add some variety and served a healthy tarter sauce as a side. I use butter milk in this recipe and for a second side I choose frozen curly fries which I cook over the grill in the new pan I received as a Father's day gift. Here is the recipe I hope you enjoy it along with a strawberry daiquiri! 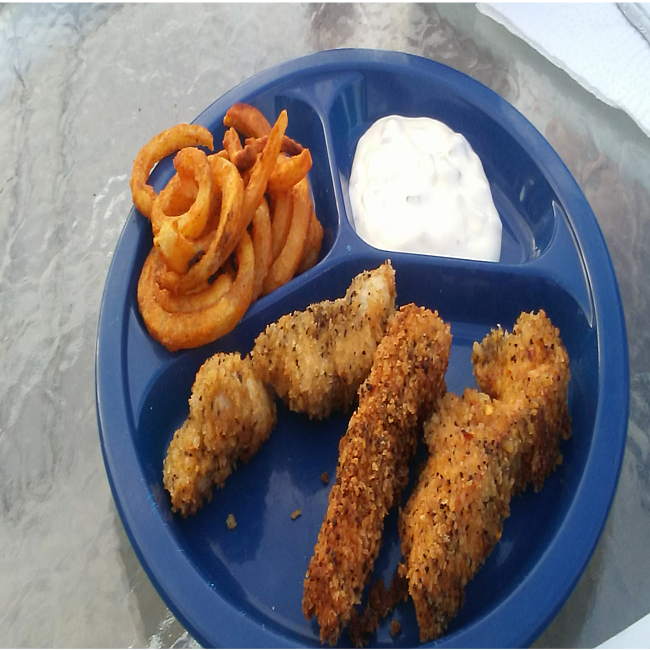 Easy fish fry for casual pool side meal.